IF YOU NEED A LAUGH, IT'S A JOLLY GOOD NIGHT OUT! JOLLY COMEDY CLUB = A night of hilarious comedy in a warm, friendly club atmosphere. Great acts, great price, ELECTRIC atmosphere. Resident MC, local comedian JO PUBLIC “Always has the audience in stitches” introduces another night of Jolly fun with the laughs coming hard and fast. Acclaimed stand-up comic and accomplished TV writer Meryl O’Rourke, revels in her bitterness. 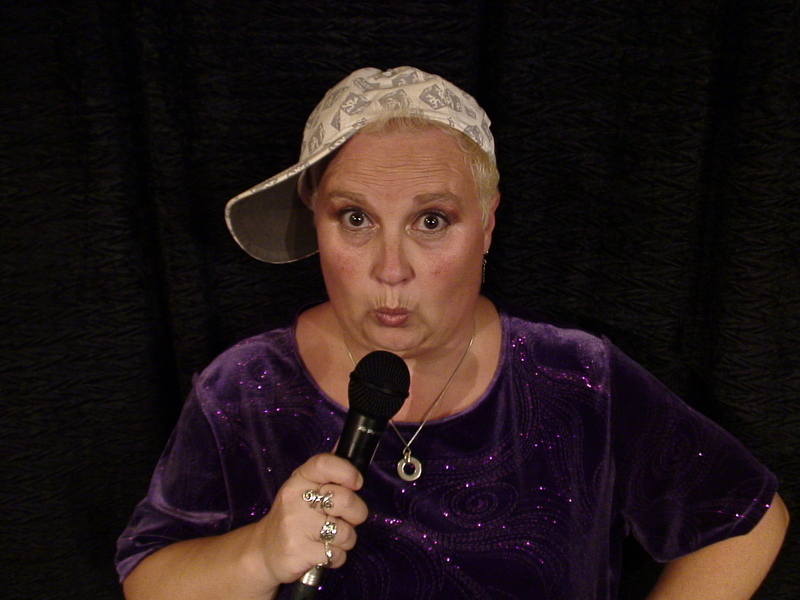 A potty mouthed potty trainer, she has delighted comedy audiences with her cheeky routines of dysfunctionality. She supported Frankie Boyle for part of his last tour, at his request. She also supported him at the Hammersmith Apollo. In his book ‘Work! Consume! Die!’ he calls Meryl “Inspiringly funny”. Her solo stand-up show Bad Mother… was a hit at Edinburgh and Brighton festivals. Directed by Foster’s Comedy Award nominee Thom Tuck, it received 5-star reviews and was The Times’ Critic’s Choice. “Jo Public never fails to deliver. Always has the audience in stitches. From her quirky, catchy songs to her abilities as a compere. 10 out of 10!! ” – Collin Baxter, Arundel Jailhouse. “What a fabulous act! Jo comes back with something a bit different each time and the audience always love her.” – Dave Sellman, Whyteleafe Comedy Club. “Jo Public had the audience in stitches” – Adrian Imms – The Argus on Komedia New Act Night. JOLLY COMEDY CLUB if you need a laugh, it’s a JOLLY GOOD NIGHT OUT! JOLLY COMEDY CLUB UPCOMING SHOWS – ***FRIDAY 27TH JUNE***. 28TH FEBRUARY 2014 …. AND IT’S GOING TO BE A BELTER OF A NIGHT! 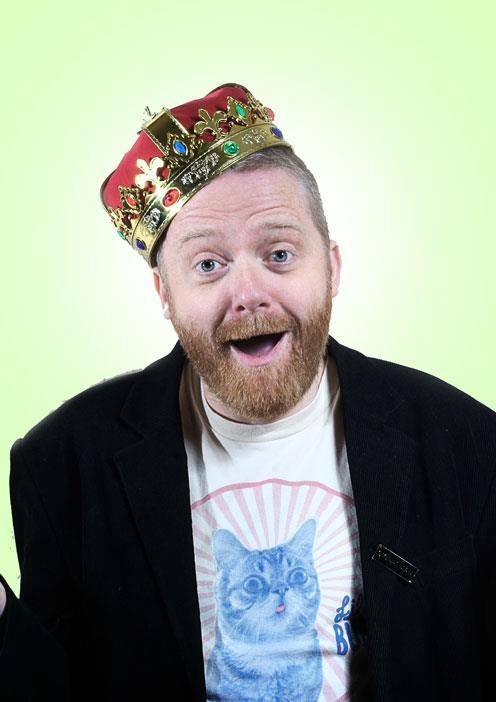 HEADLINE ACT: JAMES ALDERSON WITH HIS CHARM, WIT AND GREAT OBSERVATIONAL JOKES, WHO ACCORDING TO PAUL MCAFFREY (RUSSEL HOWARD’S GOOD NEWS), IS “Proper funny! Made me howl laughing!” LOOKS SET FOR THE BIG TIME. HOWEVER, PAUL CHOWDHRY (LIVE AT THE APPOLLO) THINKS JAMES IS, “Already Big Time”. CATCH HIM @ JOLLY COMEDY CLUB, UP CLOSE AND PERSONAL WHILE YOU STILL CAN! ALSO FEATURING, DON BISWAS, TWICE WINNER OF THE PRESTIGEOUS, LONDON COMEDY STORE KING GONG SHOW. DON IS A GREAT UP AND COMING COMEDIAN WHO IS DEFINITELY GOING PLACES AND ONE TO WATCH OUT FOR IN THE FUTURE. WITH FANTASTIC SUPPORT FROM: RESIDENT COMPERE JO PUBLIC, MICHAEL MOONEY & CHARMAINE DAVIES. THIS IS GOING TO BE A NIGHT NOT TO BE MISSED! Enter your email address to receive comedy show details and updates by email.